As soon as I found out that Mies van Hout had a new book, it was on order. Friends does not disappoint. I love the individuality of each monster and the interaction between them. An amazing book. I fell in love with Mies van Hout's visually stunning book Happy when I (well, actually my teaching buddy) found it at a workshop. 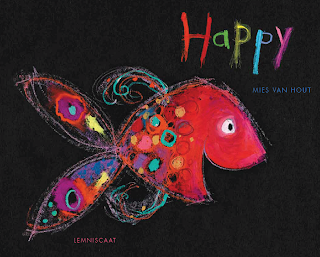 In Happy, van Hout portrayed different emotions with her brilliantly drawn fish. In Friends, she puts emotions into relationship and shows emotional interactions. And this time she uses monsters. 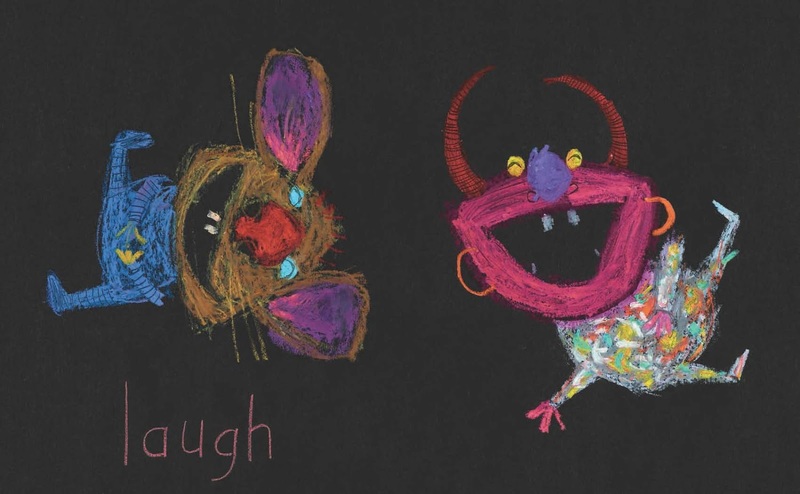 These monsters are cute - but not cutesy. They have real friendship experiences - laughter, boredom, trust, teasing, tears, making up - all experiences that children can relate to. They are individual. They are vibrant against the black background. They are fabulous. This is a great book for pre-readers. It is an almost-wordless book. One word per page. Excellent for retelling the story and reading the pictures. It could be used as a wonderful rich language starting point. Those monsters deserve some pretty incredible describing words. Young children often need friendship support - learning to be a good friend, learning how to cope when others are not good friends, learning that "you aren't my friend any more" is rarely permanent. Friends is a great friendship discussion starter. Monsters are great inspiration for the imagination. A monster creation can't be "wrong". And there are so many different ways to create a monster. Click on the image for the monster creation scoop. 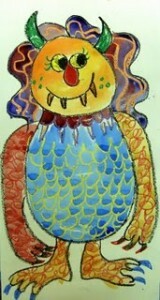 Patty at Deep Space Sparkle made water colour monsters with a first grade class. 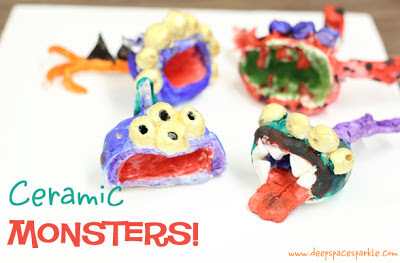 She also made clay pinch pot monsters with first graders. 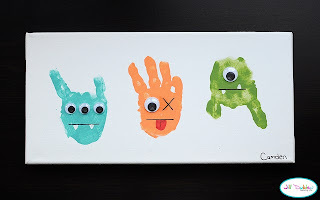 Meet the Dubiens made these super fun handprint monsters. Last summer I made some rock monsters for my school monsters. The monster possibilities are endless ... ' cause there is no such thing as a "wrong" monster. 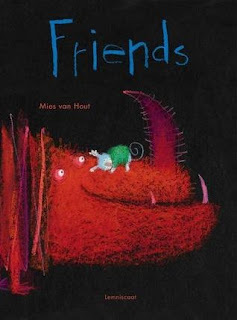 Mies van Hout created her monsters with pastels on black paper. Here's a quick "how to". Andrea from Book Talk Thursdays and Amanda from The Teaching Thief are keeping us reading this summer. Check out both linkies for lots of fine reading material. I'm Bloglovin' you right now. I keep meaning to grab this book. Happy was so much fun ~ must get Friends. I love the cover on this book!! I'm going to have to check this one out! Thanks for sharing it and all your great activities!! Thanks for linking up! Sounds like a super cute book! I also love your ideas for monsters! So much fun! !